This morning I should really have been starting a rewrite for Order for Burning but instead I ended up reading video game articles online. This piece over on Eurogamer about trying to pin down the upcoming No Man’s Sky into a structure caught my eye. I write scripts for film but I have a huge interest in story as far as games go and No Man’s Sky has been on my wish list ever since I first set eyes on the gameplay demo last Summer. 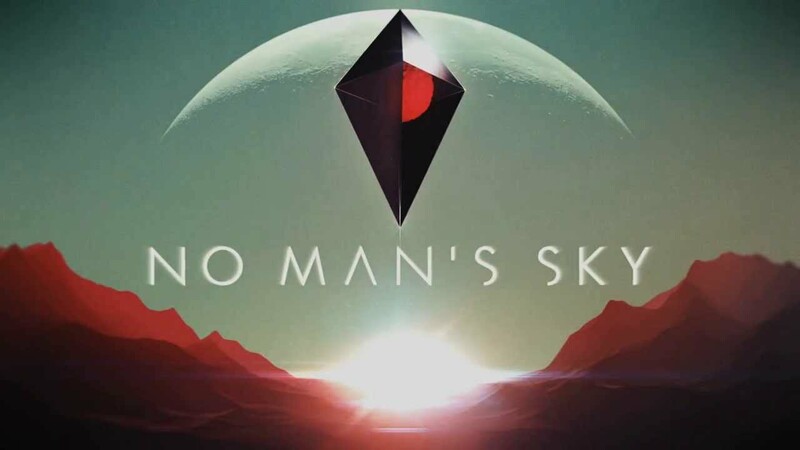 No Man’s Sky allows you to fly through entire galaxies that are generated on the fly. The universe in No Man’s Sky is forever expanding meaning that it’s quite possible to fly to a planet and be told that you are the first ever person to find it. This means that the game is huge and ever changing. The trouble is that it’s been very difficult for Hello Games to define what you actually have to do in No Man’s Sky to a general audience and the gaming media. People have watched the video, seen some ships flying around and wanted to know what exactly is the aim of the whole thing. The article above gives some answers but not all. The public at large are looking at No Man’s Sky and asking ‘what makes this a game?’. Popular opinion dictates that there must be a final result, there must be an aim and there must be some structure of opposing forces because this is what we’re used to and what we do as gamers. We must defeat the evil empire, win the match, rescue the princess. For a medium all about interactivity we’re very unsure when somebody gives us freedom. Many games ask the player to do certain tasks to keep a story moving, there are hoops we must jump through in order to see what the developers have laid out for us. These games are in effect making us actors, we must gives our lines when prompted. Some of the most powerful moments I’ve had in gaming is when the stories are generated by the players themselves. I’ve witnessed stories of betrayal during a zombie outbreak in Left 4 Dead and underdogs overcoming the odds in Football Manager, None of these were predetermined by the game, they all happened in an organic fashion. No Man’s Sky looks set to give us the stage and the props and see what stories we can make out of them. Many might treat the game with derision as a result but it’s the very thing that makes the game so interesting to me. I want to be able to compare experiences with other players and come up with different outcomes. Obviously I’ve yet to play No Man’s Sky but I’m certainly looking forward to doing so, making my own way in the environment and choosing how I spend my time there. Those are words I’ve wanted to type for months on end concerning Order For Burning and finally I’ve made it. It’s a complete mess, a structure held together by sticky tape which needs kicked apart and rebuilt stronger and faster but it’s there, it exists and the hardest part is over. Characters come and go, often without reason, the story wobbles from place to place with no apparent justification and historical accuracy takes a dive around page 40 and never comes back but these are things I can (and will) fix in the weeks ahead. This is an odd mixture of happy and nervous. The painful writing of the first draft is nearly done. My son was ill today and therefore off school. He awoke at his usual time in the morning, went to the bathroom but then went back to bed. I moved through to his room and asked what was up. “I feel hot and dizzy” he said from under the duvet. My eventual coaxing got him downstairs for breakfast. Upon pouring his usual Choco Shreddies cereal he lay his head down on the table and uttered “I don’t think I can manage chocolate today Dad”. Sound the alarm, Houston we have a problem. He went back to bed. I still have many memories of my Mother doping my Sister and I up on Calpol in these situations and just waiting for the phone call saying we’d thrown up during maths (this makes her sound awful, it was not the case at all). I didn’t fancy dragging a lethargic 8 year old up the road for 9am only to inevitably return for him an hour later. He slept until 10am before taking up camp in our living room, on the couch, under a duvet, watching cartoons and eating peanut butter on toast before falling asleep again. A planned shopping trip with my Mother was postponed until Monday which is probably for the best as Scotland is currently being battered by 100mph winds and belting rain. We’ll give the weather gods the weekend to calm it down. The silver lining in all of this is it gave me an excuse to not leave the house and write like a demon. I’m approaching the end of this terrible, shaky, taped together draft with its odd combination of history and story flung against the wall to see which sticks. Nearly done for the initial process of taking it from up here to some pages. Houston, I’m with you soon. The draft one deadline slipped past Christmas and beyond New Year. It’s the problem when you have only your own set dates to run off, you tend to let them fly by. But we chip away through the delays. The Order For Burning script goes ever more towards the fire finale but I’m throwing all the parts of history in too thick and too fast. Helen Harris hangs herself in the Tollbooth, she’s hardly heard of before this moment so her death currently has little impact. It’s running the risk of coming up short but luckily I know where I can stretch it a little more, hopefully without it snapping.